So you want to hang a “Gallery Wall” of family photos or you have several special pieces of art that you have collected from your travels. 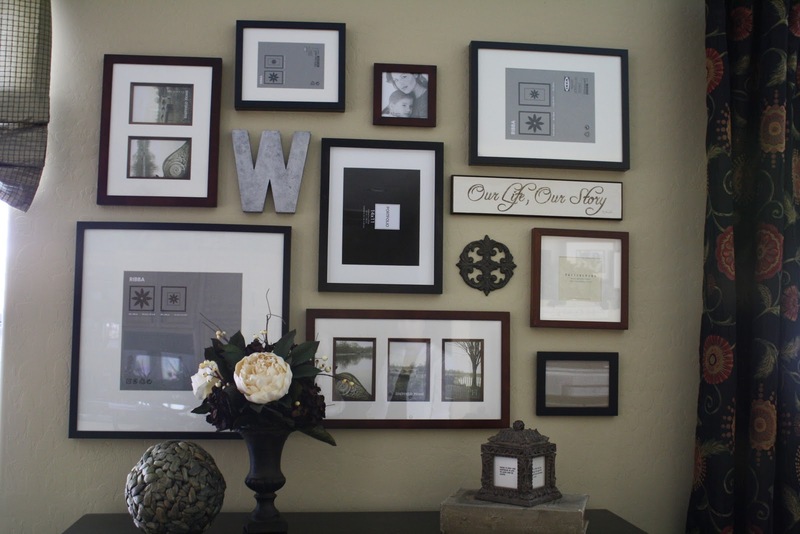 You have selected the wall and you are inspired by photos you have seen in magazines or on Pinterest. Now how do you do it without putting 40 holes in your wall or drive your spouse crazy?! Measure your wall area that you want to use. Make a paper template of that size using craft paper and tape it together with blue painter’s tape. Lay it on the floor near your wall area. Play with your artwork and move it around until you find a pleasing arrangement that is well balanced. Start with the largest pieces and fill in with the smaller ones. Once you like it, take a photo so you have a reference. Then carefully trace around each piece of artwork and mark where the nail holes for each frame should go. Tape the paper on the wall exactly where you want the gallery wall to be, making sure it is level. Then hammer your nails into your nail hole marks and tear the paper away! 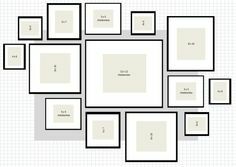 Hang all of your artwork on the wall using your photo as a guide. Woohoo…time to admire your handy work with a glass of wine!